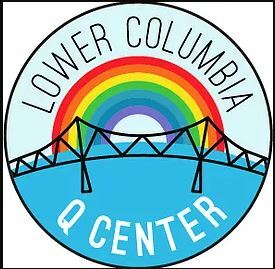 The Lower Columbia Q Center was founded in 2014 by a group of individuals who saw the need for an organization that would be a safe, welcoming resource and advocate for the LCBTIQ community, friends, families, and allies of the Lower Columbia Region. The mission of the Lower Columbia Q Center is to be a safe and welcoming resource and support service to the LGBTIQ community, friends, families and allies of the Lower Columbia Region. In 2016, the Lower Columbia Q Center held the first annual Astoria Pride. Since that time, Astoria Pride has grown into a bigger, better, and more fierce advocacy, awareness, and community events.